Peninsula Respiratory Group is a referral based medical group practice that specialises in the diagnosis and treatment of respiratory and sleep disorders. The Group started on the Northern Beaches in 1988 in Dee Why. It includes specialist physicians with hospital appointments in both the public and private sector, a dietitian and the Peninsula Pulmonary Function Laboratory. The Group moved to Frenchs Forest in 2005 and in 2009 moved into its current location. This premises was purpose built and is a State of the Art Facility, enjoying up to date technology and equipment. As well as Frenchs Forest, The Group has consulting suites in the Mater Clinic at Crows Nest. The Peninsula Pulmonary Function Laboratory is accredited with the Thoracic Society of Australia and New Zealand (TSANZ) and has been in operation for over 20 years. The Laboratory staff are fully trained respiratory scientists. Find out more on our Pulmonary Function Laboratory page. Professor Burgess completed his medical training at the University of Sydney and then Specialist Training in Respiratory Medicine at Concord and St Vincent’s Hospitals. Subsequently he undertook Research Training at the University of Calgary in Canada between 1981 – 1983, and was awarded an MSc in physiology. 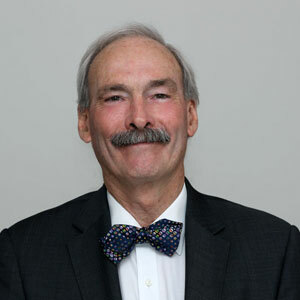 He was then appointed to the Faculty as an Assistant Professor of Medicine in the division of Pulmonary and Critical Care Medicine, and a Consultant Physician to the Foothills Provincial General Hospital (1983 – 1985). Upon returning to Sydney in early 1986 he was appointed as Staff Intensivist at Manly Hospital which he held until it's closure in 2018. He is now a staff specialist at the Northern Beaches Hospital and also works out of Arcadia Pittwater Private Hospital at Warriewood which offers rehabilitation and ‘end of life’ programmes. At Manly he, with Professor Braude and others, developed the Intensive Care service and simultaneously developed and ran the Cardiac Rehabilitation Programme for ten years until 1995. He was Department Head from 1986 to 2002. In 2002 he was awarded a PhD in Medicine, and has subsequently enjoyed international recognition for his research in the area of sleep and the control of breathing at high altitude. 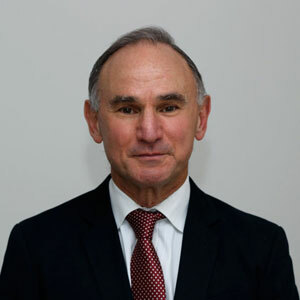 He began a private consulting practice in respiratory and sleep medicine in 1989 on a part time basis, and established the Pulmonary Function Laboratory in 1992, and with Professor Braude started the first Sleep Laboratory on the Northern Beaches in 1993. That has subsequently developed and moved to its current site at Frenchs Forest, where it operates as a fully accredited sleep clinic. Dr Braude completed undergraduate training at the University of Cape Town. Specialist training followed in Respiratory and Intensive Care Medicine at Kings College Hospital, London and at the Royal Brompton Hospital, also in London. Dr Braude was subsequently a Research Fellow at the Royal Postgraduate Medical School where he investigated pathophysiological aspects of acute lung injury, both clinically and experimentally. This led to numerous peer-reviewed publications and the submission and acceptance of a doctorial thesis. He moved to Australia over 20 years ago and held a Staff Specialist appointment at Manly Hospital. He is now a Visiting Medical Officer at the Northern Beaches Hospital. Over this time he has been heavily involved in teaching at the University of Sydney’s Medical programme, and holds an Associate Professorial clinical academic title at Sydney University. Since 1991, he has been in private respiratory practice with the Peninsula Respiratory Group. Dr Barclay completed her university training through UNSW and St Vincent’s Hospital. She then attained fellowship in the Royal Australasian College of Physicians, specialising in Respiratory and Sleep medicine, with her training at Royal North Shore Hospital and Concord Hospital (2009). She has also completed a Masters of Public Health and Tropical Medicine through James Cook University. She has particular interests in tuberculosis, having spent time as a volunteer medical officer at Rumginae Hospital, Western Province, Papua New Guinea, and was appointed to the Manly Hospital Tuberculosis Service in 2013. 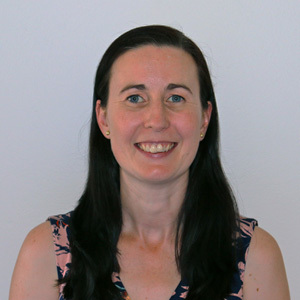 She now conducts TB services at Mona Vale Hospital and is a Visiting Medical Officer at the Northern Beaches Hospital. 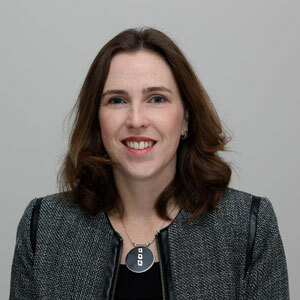 Her other interests include sleep medicine – including work as a visiting medical officer at Peninsula Sleep Clinic, and interstitial lung disease. 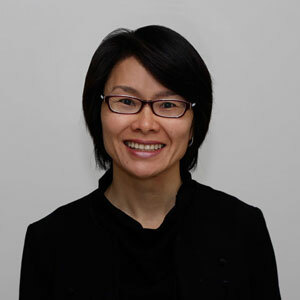 Dr Seeto achieved her Bachelor degrees with Honours through the University of Qld, St Lucia with associated undergraduate clinical training at the Princess Alexandra, Royal Brisbane, Royal Womens, Royal Childrens and Mater Hospitals in Brisbane. Fellowship in the Royal Australasian College of Physicians was obtained in 2000 specializing in Respiratory and Sleep Medicine, after advanced training in Concord Repatriation General Hospital with secondment to Nepean Hospital, Penrith. Her private consulting practice in Respiratory and Sleep Medicine commenced in 2000. From 1998-2005, Dr Seeto was a Clinical Associate, Faculty of Medicine, University of Sydney. At Concord Repatriation General Hospital, she was appointed Honorary Associate Physician (2001-2003). 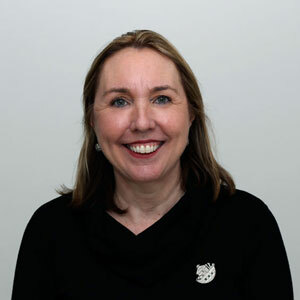 She was appointed VMO at Strathfield Private Hospital, Sydney (from 2002), the Mater Hospital, Sydney (2002-current), and at Gosford Hospital (2004-2007), and as Senior Staff Specialist in the Lung Transplant Unit, St Vincent’s Hospital, Sydney (2012-2013). Dr Seeto graduated with her Doctorate of Philosophy in 2005 through the University of Sydney. She was a Research Scholar at the ANZAC Institute, Concord, at Sydney University, at the National Heart and Lung Institute, Imperial College School of Medicine, London and the Royal Brompton Hospital, London, UK. Dr Patricia Hullah is a Specialist Physician in Respiratory and Sleep Medicine. She completed her undergraduate science degree and medical degree at the University of Sydney and graduated with honours in medicine. Her specialist training was undertaken at Royal North Shore, Concord and Greenwich Hospitals. She has worked at Concord Hospital as the Medical Superintendent and continues to be a Clinical Lecturer for Sydney University at the Concord Medical School. Dr Hullah has completed research on diagnostic methods in sleep disordered breathing, pulmonary embolism, symptom management and psychosocial impacts on health. Current practice covers a wide range of disorders including obstructive sleep apnoea, airways disease (COPD, asthma, bronchiectasis), interstitial lung disease and lung cancer. Dr Hullah has additional advanced skills in symptom management. She is a member of the Thoracic Society of Australia and New Zealand as well as the Australian Sleep Association. She is also a Visiting Medical Officer at the Northern Beaches Hospital. Dr Philip Lee is a Respiratory and Sleep physician. He graduated with Honours from the University of New South Wales and completed his specialist training at St Vincent’s and St George Hospitals. He is a consultant in Respiratory and Sleep Medicine at St George Hospital and a Visiting Medical Officer at the Northern Beaches Hospital. He has specific clinical and research interest in sleep medicine, COPD, respiratory failure and non-invasive ventilation. 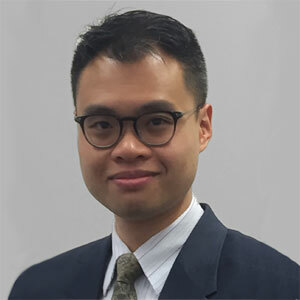 Dr Lee has extensive experience in managing sleep disorders with a diverse range of clinical expertise in various Respiratory diseases. Dr Lee has received local and international awards for his research work with continuing research interests in COPD, respiratory failure and non-invasive ventilation. He has academic appointment at University of New South Wales. He is also an expert advisor for Research Review Australia in COPD and has been an invited speaker at various local meetings. Dr Lee is multi-lingual with proficiency in Cantonese and Mandarin. A busy Specialist Practice requires experienced, skilled and dedicated staff. Peninsula Respiratory Group has such a team and is proud of the service and attention given to the patients and their families. From the Administration staff managing the files in Medical Records to the Front Desk staff managing the day to day running of the office, they all contribute to a professional and friendly environment. 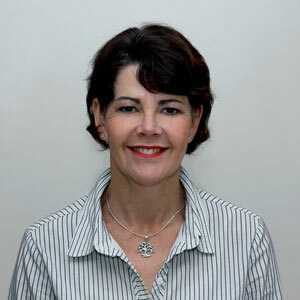 Marianne has worked with the Peninsula Respiratory Group since 1992 and has been the Practice Manager since 2001. She completed her nursing training at St Vincent’s Hospital in 1979. 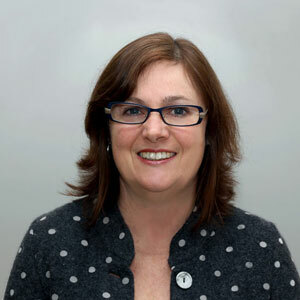 Marianne is a current member of the Australian Association of Practice Managers. 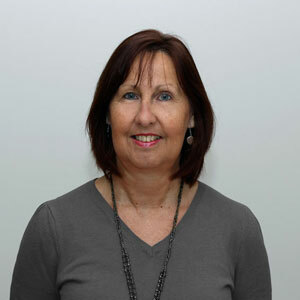 Diane has worked with the Peninsula Respiratory Group since 2001. Her previous employment was mainly in medical practices and she brings a wealth of knowledge and experience to her position. Visit your doctor to obtain a written referral. Phone us to make an appointment on 02 99754911. Once an appointment has been scheduled for you, a detailed information pack will be forwarded to your postal address outlining your appointment date and time, what you need to bring with you, the fee schedule and parking. Peninsula Respiratory Group is a non-bulk billing practice. Fees are payable on the day of consultation with the Medicare Rebate being directly refunded back to your nominated account. Urgent appointments are accommodated quickly only if the referring doctor has made a phone call to the Practice requesting an urgent appointment. Phone us to make an appointment on 02 9975 4911. If taking inhaled medication, you will be given detailed instruction in what medications need to be withheld at the time you make your appointment. Peninsula Pulmonary Function Laboratory is a non-bulk billing practice. Fees are payable on the day of testing with the Medicare Rebate being directly refunded back to your nominated account. A. Yes. Referrals can be obtained from a GP, physician, surgeon or dentist. Q. Do you bulk bill? A. This is a NON bulk billing practice. There is an out of pocket expense for all consultations and tests. Q. How much will my account be? A. Fees vary from patient to patient depending on the complexity of the initial problem. For more information please contact the office. Q. Can I take my account with me? A. It is expected that all accounts are paid on the day of consultation or testing. The Group has the facility to have the Medicare rebate put directly back into your nominated bank account. Q. What do I need to bring to my first consultation? A. As a new patient it is essential that you bring your referral and a list of your current medications. Usually an information package is sent out to each new patient outlining what you need to bring with you. A. New patient appointments vary in time depending on the nature of the problem. Routinely we set aside a minimum of 45 minutes. Follow up consultations are anything up to 30 minutes. A. All breathing tests are static tests therefore usual daywear is appropriate. A. There is no fasting, however for challenge tests (testing for asthma), patients are asked to withhold from coffee, tea or other caffeinated drinks or food on the day of the test. A. No drugs or medication are usually administered during the consultation or breathing test that would have an effect on your driving ability. Q. Do I take my puffers? A. Most inhaled medication needs to be withheld. For more detailed information on withholding medication please contact our office – 9975 4911. Q. What if I am sick on the day of testing? A. Call 9975 4911 and discuss with the staff, but if you have diarrhea, cold or flu like symptoms your test will need to be re-scheduled. This study was intended to demonstrate a biologically important association between acute mountain sickness (AMS) and sleep disordered breathing. A total of 14 subjects (eight males, six females aged 36 ± 10 years) were studied at six different altitudes from sea level to 5050 m over 12 days on a trekking route in the Nepal Himalaya. AMS was quantified by Lake Louise (LL) score. At each altitude, sleep was studied by 13 channel polysomnography (PSG). Resting arterial blood gases (ABG) and exercise SaO2 were measured. Ventilatory responses (VR) were measured at sea level. Individual data were analysed for association at several altitudes and mean data were analysed for association over all altitudes. ABG showed partial acclimatization. For the mean data, there were strong positive correlations between LL score and altitude, and periodic breathing, as expected. Strong negative correlations existed between LL score and PaO2, PaCO2, sleep SaO2 and exercise SaO2, but there was no correlation with sea level VR. There were equally tight correlations between LLs/PaO2 and LL score/ sleep SaO2. The individual data showed no significant correlations with LL score at any altitude, probably reflecting the non-steady state nature of the experiment. In addition, mean SaO2 during sleep was similar to minimum exercise SaO2 at each altitude and minimum sleep SaO2 was lower, suggesting that the hypoxic insult during sleep was equivalent to or greater than walking at high altitude. It is concluded that desaturation during sleep has a biologically important association with AMS, and it is speculated that under similar conditions (trekking) it is an important cause of AMS. The aim of the study was to investigate the relationship between central sleep apnoea (CSA) at high altitude and arterial blood gas tensions, and by inference, ventilatory responsiveness. Fourteen normal adult volunteers were studied by polysomnography during sleep, and analysis of awake blood gases during ascent over 12 days from sea level to 5050 m in the Nepal Himalayas. Thirteen subjects developed CSA. Linear regression analysis showed tight negative correlations between mean CSA index and mean values for sleep SaO2, PaCO2 and PaO2 over the six altitudes (r2 = 0.74 for all, P < 0.03). Paradoxically there was poor correlation between the individual data for CSA index and those parameters at the highest altitude (5050-m) where CSA was worst (r2 < 0.12 for all, NS), possibly due to variation in degree of acclimatization between subjects. In addition, CSA replaced mild obstructive sleep apnoea during ascent. Obstructive sleep apnoea index fell from 5.5 ± 6.9/h in rapid eye movement sleep at sealevel to 0.1 ± 0.3/h at 5050 m (P < 0.001, analysis of variance), while CSA index rose from 0.1 ± 0.3/h to 55.7 ± 54.4/h (P < 0.001). There was a general relationship between decreasing PaCO2 and CSA, but there were significant effects from variations in acclimatization that would make hypoxic ventilatory response an unreliable predictor of CSA in individuals. 1 Peninsula Private Sleep Laboratory, Sydney, Australia, 2 Department of Critical Care, Manly Hospital, 3 Forestway Psychology Centre, Sydney, Australia, 4 University of Sydney, Sydney, Australia. Children with attention deficit hyperactivity disorder (ADHD) may have a component of sleep apnea causing arousal and contributing to ADHD behavior during the day. Twenty non-ADHD children between 4 and 16 years of age were compared with 18 children with ADHD with use of nocturnal polysomnography (PSG) and psychometric tests. The psychometric testing confirmed that the control group were normal and that the ADHD children fulfilled the diagnostic criteria for ADHD. The PSG showed normal arousal indexes for the ADHD group (9.8 ± 3.9/hr) and controls (10.2 ± 3.1/hr), and normal apnea/hypnea indexes for the ADHD group (1.0 ± 2.4/hr) and controls (0.6 ± 0.9/hr). The sleep architecture was not significantly different between groups. There were no sleep abnormalities in the ADHD children that could be responsible for, or contributing to, the disorder. This study was supported by Dalwood Ladies Auxiliary and Peninsula Private Sleep Laboratory. We compared the spirometric values of the isolated racial group of Himalayan Sherpas with those predicted for the European Coal and Steel Community (EC&S). 146 normal adult Sherpas (64 males, 82 females) and 103 adolescents (37 females and 66 males, age 10–18 years) resident at an altitude of 3840 m were studied. Predicted values for each adult individual were calculated using the EC&S reference equations and separate Caucasian values for children were used, and new predictive equations for the Sherpa population derived. The FEV1 of boys, adult male and female Sherpas are all significantly greater than predicted (% Predicted (PP) (95% Confidence Interval (CI)), 113% (110–116), 110% (107–114) and 116% (112–121), Pı0.0001 for all groups) as is forced vital capacity (FVC) (112% (111–119), 113% (109–117) and 121% (117–125) respectively, Pı0.0001 for all groups). Sherpa girls displayed a smaller difference in FEV1 and FVC (PP(CI), 104% (99–109) Pı0.1 and 108% (103–114) P=0.005, respectively). We conclude that the Sherpa race has significantly larger spirometric values than Caucasians. We speculate that this is an adaptation in response to chronic hypoxia and high levels of habitual exercise. Loop gain is an engineering term that predicts the stability of a feedback control system, such as the control of breathing. Based on earlier studies at lower altitudes, it was hypothesized that acclimatization to high altitude would lead to a reduction in loop gain and thus central sleep apnoea (CSA) severity. This study used exposure to very high altitude to induce CSA in healthy subjects to investigate the effect of partial acclimatization on loop gain and CSA severity. Measurements were made on 12 subjects (age 30 ± 10 years, body mass index 22.8 ± 1.9, eight males, four females) at an altitude of 5050 m over a 2-week period upon initial arrival (days 2–4) and following partial acclimatization (days 12–14). Sleep was studied by full polysomnography, and resting arterial blood gases were measured. Loop gain was measured by the ‘duty cycle’ method (duration of hyperpnoea/ cycle length). Partial acclimatization to high-altitude exposure was associated with both an increase in loop gain (duty cycle fell from 0.60 ± 0.05 to 0.55 ± 0.06 (P = 0.03)) and severity of CSA (apnoea-hypopnoea index increased from 76.8 ± 48.8 to 115.9 ± 20.2 (P = 0.01)), while partial arterial carbon dioxide concentration fell from 29 ± 3 to 26 ± 2 (P = 0.01). Contrary to the results at lower altitudes, at high-altitude loop gain and severity of CSA increased. Journal of Applied Physiology 2013 114 8 1021-1028. Although periodic breathing during sleep at high altitude occurs almost universally, the likely mechanisms and independent effects of altitude and acclimatization have not been clearly reported. Data from 2005 demonstrated a significant relationship between decline in cerebral blood flow (CBF) at sleep onset and subsequent severity of central sleep apnea that night. We suspected that CBF would decline during partial acclimatization. We hypothesized therefore that reductions in CBF and its reactivity would worsen periodic breathing during sleep following partial acclimatization. Repeated measures of awake ventilatory and CBF responsiveness, arterial blood gases during wakefulness. and overnight polysomnography at sea level, upon arrival (days 2-4), and following partial acclimatization (days 12-15) to 5,050 m were made on 12 subjects. The apnea-hypopnea index (AHI) increased from to 77 ± 49 on days 2-4 to 116 ± 21 on days 12-15 (P = 0.01). The AHI upon initial arrival was associated with marked elevations in CBF (+28%, 68 ± 11 to 87 ± 17 cm/s; P < 0.05) and its reactivity to changes in PaCO2 [>90%, 2.0 ± 0.6 to 3.8 ± 1.5 cm·s(-1)·mmHg(-1) hypercapnia and 1.9 ± 0.4 to 4.1 ± 0.9 cm·s(-1)·mmHg(-1) for hypocapnia (P < 0.05)]. Over 10 days, the increases resolved and AHI worsened. During sleep at high altitude large oscillations in mean CBF velocity (CBFv) occurred, which were 35% higher initially (peak CBFv = 96 cm/s vs. peak CBFv = 71 cm/s) than at days 12-15. Our novel findings suggest that elevations in CBF and its reactivity to CO(2) upon initial ascent to high altitude may provide a protective effect on the development of periodic breathing during sleep (likely via moderating changes in central PCO2). + Targeted Case Finding for OSA within the Primary Care Setting. The aim was to determine the feasibility of using an unattended 2-channel device to screen for obstructive sleep apnea in a population of high-risk patients using a targeted, case-finding strategy. The case finding was based on the presence of risk factors not symptoms in the studied population. The study took place from June 2007 to May 2008 in rural and metropolitan Queensland and New South Wales. Family doctors were asked to identify patients with any of the following: BMI > 30, type 2 diabetes, treated hypertension, ischemic heart disease. Participants applied the ApneaLink+O2 at home for a single night. The device recorded nasal flow and pulse oximetry. Data were analyzed by proprietary software, then checked and reported by either of two sleep physicians. 1,157 patients were recruited; mean age 53 +/- 14.6, M/F% = 62/38, mean BMI = 31.8, obesity = 35%, diabetes = 16%, hypertension = 39%, IHD = 5%, Mean Epworth Sleepiness Scale score (ESS) = 8.3. The prevalence of unrecognized OSA was very high: 71% had an AHI > 5/h, 33% had an AHI > 15/h, and 16% had an AHI > 30/h. The ApneaLink+O2 device yielded technically adequate studies in 93% of cases. The study shows that a "real world" simple low cost case finding and management program, based on unattended home monitoring for OSA, can work well in a population with risk factors and comorbidities associated with OSA, independent of the presence of symptoms. The prevalence of unrecognized OSA was very high. + Breathing and sleep at high altitude. Journal of Respiratory Physiology and Neurobiology. Ainslie PN1, Lucas SJ2, Burgess KR 3,4. 1 Centre of Heart, Lung and Vascular Health, School of Health and Exercise Sciences, University of British Columbia, Okanagan Campus, British Columbia, Canada. 2 School of Sport, Exercise and Rehabilitation Sciences, College of Life and Environmental Sciences, University of Birmingham, Edgbaston, Birmingham, UK. 3 Peninsula Sleep Clinic, Sydney, New South Wales, Australia. 4 Department of Medicine, University of Sydney, Sydney, New South Wales, Australia. • Ventilatory acclimatization to altitude involves cellular and neurochemical re-organization in the peripheral chemoreceptors and CNS. • Sleep at high altitude is disturbed by various factors, but principally by periodic breathing (PB). • The extent of PB during sleep at altitude intensifies with duration and severity of exposure and is explained in part by elevations in loop gain. • Because PB may elevate rather than reduce mean SaO2 during sleep this may represent an adaptive rather than maladaptive response. • Although new mechanical and pharmacological means are emerging, oral acetazolamide remains the most effective and practical means to reduce PB. We provide an updated review on the current understanding of breathing and sleep at high altitude in humans. We conclude that: (1) progressive changes in pH initiated by the respiratory alkalosis do not underlie early (<48 h) ventilatory acclimatization to hypoxia (VAH) because this still proceeds in the absence of such alkalosis; (2) for VAH of longer duration (>48 h), complex cellular and neurochemical re-organization occurs both in the peripheral chemoreceptors as well as within the central nervous system. The latter is likely influenced by central acid-base changes secondary to the extent of the initial respiratory responses to initial exposure to high altitude; (3) sleep at high altitude is disturbed by various factors, but principally by periodic breathing; (4) the extent of periodic breathing during sleep at altitude intensifies with duration and severity of exposure; (5) complex interactions between hypoxic-induced enhancement in peripheral and central chemoreflexes and cerebral blood flow – leading to higher loop gain and breathing instability – underpin this development of periodic breathing during sleep; (6) because periodic breathing may elevate rather than reduce mean SaO2 during sleep, this may represent an adaptive rather than maladaptive response; (7) although oral acetazolamide is an effective means to reduce periodic breathing by 50–80%, recent studies using positive airway pressure devices to increase dead space, hyponotics and theophylline are emerging but appear less practical and effective compared to acetazolamide. Finally, we suggest avenues for future research, and discuss implications for understanding sleep pathology.